As much as we’ve talked about how sick we’ve been over the past ten months, I’m happy to report we have been healthy now for a few weeks! This is definitely an answer to prayer and we’re thankful for the break from sore throats and runny noses. With the weather warming up this has allowed us to get outside a bit more, which I think is helpful, and having regular sunshine can’t hurt either! Bethany and I were talking last night just how strange it is to have an actual spring season. In southern California it usually goes from semi-fall to summer overnight. Right now in Czech we’re experiencing the slow change from winter to spring like today which was a little cooler, windy, and rainy in the afternoon. This week it’ll be warmer the next two days but cooling back down and stormy into the weekend and next week. This is actually kind of strange to me because I just haven’t really experienced that kind of weather. California gets storms, but it’s pretty warm all the time. 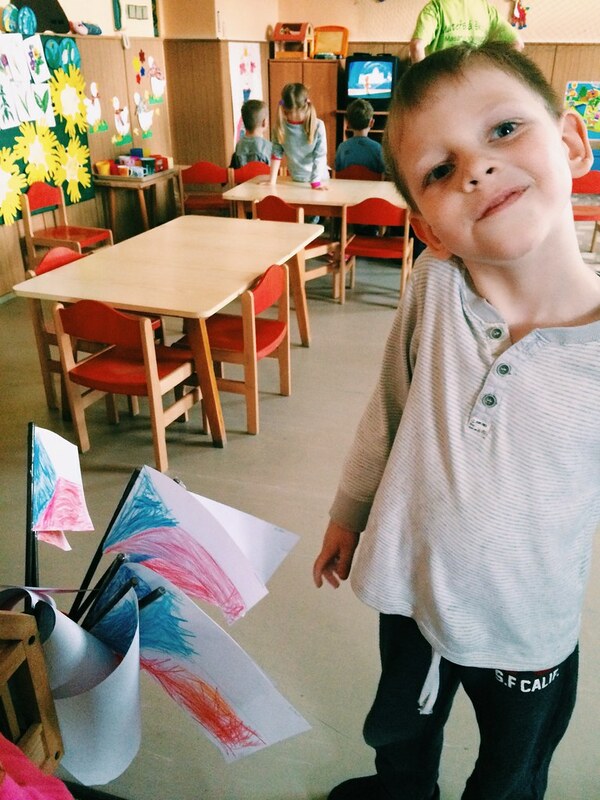 Today at preschool Titus colored Czech flags (shown above). Flags are so interesting because of what kind of emotions they evoke, especially in Americans. I wonder if the Czechs have the same kind of pride with their flag that Americans do? I know that Czechs are excited about their country. In fact, the other day at the store I saw a whole section of flags, colored pencils, and scarves that all were in support of the Czech hockey team. In a few weeks, not far from us there will a big hockey championship (actually, the USA team will be here!). I have a feeling that little section in the store was for that event, but I can’t be sure. More than ever, Avery is being more girly than I feel like she has ever been. Tonight she wanted to play “dress up” and wanted to wear a princess outfit, complete with a crown. 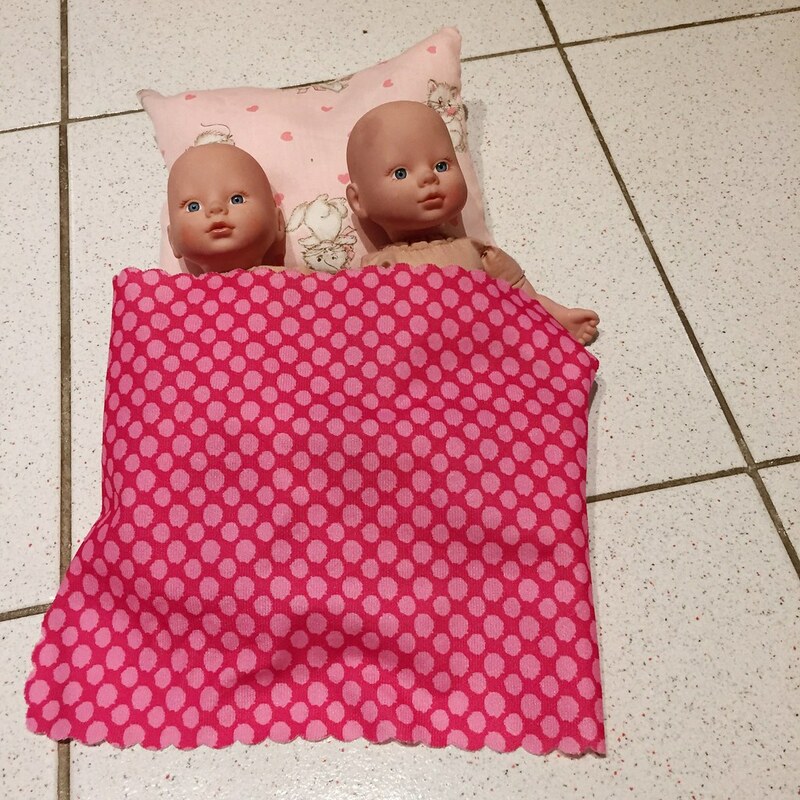 And on more than one occasion recently I have found her babies somewhere in the house, complete with a pillow and blankie (as you can see above where she had them in the middle of the kitchen floor). As well, tonight I was wrestling with the kids on our bed and Avery just stopped in the middle of it with her two babies, put them in a little red wagon and said, “It’s their first day of school!” Obviously, it’s really cute and we are constantly laughing at her. I love it. I’ve got more studying to do for my message this Saturday on the Trinity to the youth at our church. I’m getting more excited to teach on this topic, mainly because I’ve been so blessed by the study of our triune God. There is so much packed in to that often confusing doctrine, but the more I read and think, the more I am realizing just how beautiful the doctrine of the Trinity is. Please continue to pray for me as I prepare and then share on Saturday. Titus explaining how to sing the birthday song in Czech: "Czech, Czech, happy birthday. Czech, Czech, happy birthday." That’s how I would sing it in Czech too, Titus!